23 Dec Crocs, Flip Flops and Uggs; Oh My! I must confess….. I’ve had a shoe fetish since I was 15. Shame, shame on me, what can I say, it’s my guilty pleasure. I love shoes that are beautiful, that showcase the foot, attract the eye and complete an outfit. What I can detest about Crocs, Flip-Flops and Uggs is that they are not attractive; they scream of laziness and make any outfit look completely disjointed. 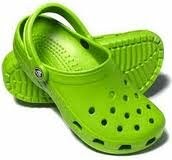 Crocs were made for people who spend a lot of time in their garden and that’s it, not to waltz around in the mall. Some goofy person even had the nerve to create croc jewels or some crazy nonsense like that. Really? These have to be the most ridiculous excuse for a shoe ever. Enough said. 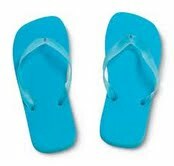 Flip-Flops should be limited to the beach, the pool or in the shower at the gym. I’ve seen many an outfit that was completely destroyed by the presence of a flip-flop. I’m very puzzled by this phenomenon. If you took the time to pick out a beautiful outfit, why wouldn’t you take the time to pick out an equally beautiful shoe to compliment it? Finally, the worst offender of all; the Uggs or as I like to call them, the Uglies. 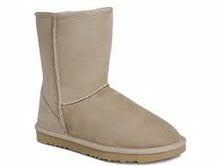 Uggs are overgrown bedroom shoes! Why would you wear these anywhere? They are not cute or stylish. I’ve seen people wear them with shorts and pajamas. Arrgghhh I can’t take it! So consider that when it crosses your mind to throw on one of the offenders I have mentioned above. If you need help don’t be afraid to ask for guidance on what to wear. There’s plenty of books, videos and articles at your fingertips, and if all else fails, call me.